This article is about the year 1792. For the bourbon whiskey, see 1792 Ridgemont Reserve. Wikimedia Commons has media related to 1792. May 21: Mount Unzen erupts. January 9 – The Treaty of Jassy ends the Russian Empire's war with the Ottoman Empire over Crimea. February 20 – The Parliament House in Dublin catches fire during a legislative session. "Although in imminent danger of the roof falling in," it is noted later, "the House did not adjourn until a proper motion had been put and carried in the affirmative. March 16 – King Gustav III of Sweden is shot in the back by Jacob Johan Anckarström, at a midnight masquerade at the Royal Opera in Stockholm; he lives until March 29, and is then succeeded by his 14 year old son, Gustav IV Adolf. March 20 – A new capital of North Carolina, and seat of the newly formed Wake County, is established after North Carolina State senator and surveyor William Christmas submits his design for the city. A few months later, the capital is officially named Raleigh, in honor of Sir Walter Raleigh. April 20 – France declares war against Austria, beginning the French Revolutionary Wars. April 21 – Tiradentes, prime figure in the Inconfidência Mineira plot, is executed in Rio de Janeiro, Brazil. Highwayman Nicolas Pelletier becomes the first person executed by guillotine in France. May 18 – War in Defence of the Constitution: Russia invades Poland. May 21 – An old lava dome collapses in Kyūshū, Japan, due to activity of Mount Unzen volcano; the resulting avalanche and tsunami kills about 14,300 people. June 4 – Captain George Vancouver claims Puget Sound for Great Britain. Vancouver becomes the first European to enter Burrard Inlet. Prussia declares war against France. July 18 – Polish–Russian War – Battle of Dubienka: Soldiers of the Polish–Lithuanian Commonwealth, led by Tadeusz Kościuszko, resist an attack from Imperial Russian Army forces five times their size. September – Macartney Embassy: George Macartney, 1st Earl Macartney, sails from Portsmouth in HMS Lion, as the first official envoy from Great Britain to China. September 2–7 – French Revolution – September Massacres: Rampaging mobs slaughter three Roman Catholic bishops and more than 200 priests, together with at least 1,000 criminals. September 11 – Six men steal some of the former French Crown Jewels from a warehouse, where the revolutionary government had stored them. September 14 – Thomas Paine flees from England to France, after being indicted for treason. He is tried in absentia during December and outlawed. September 20: Battle of Valmy. September 20 – French Revolution – Battle of Valmy: The French revolutionary army defeats the Prussians under the Duke of Brunswick, after a 7-hour artillery duel. September 21 – French Revolution: A Proclamation of the abolition of the monarchy by the French Convention goes into effect, and the French First Republic is established, effective the following day. September 22 – French Revolution: The Era of the historical French Republican Calendar begins. October 13 – Foundation of Washington, D.C.: The cornerstone of the United States Executive Mansion (known as the White House after 1818) is laid. 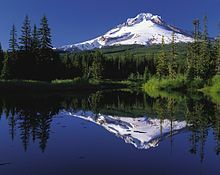 October 29: Mount Hood is named. October 29 – Mount Hood (Oregon) is named after British Admiral Lord Hood by Lt. William Broughton of the Vancouver Expion, who spots the mountain near the mouth of the Willamette River. The Baptist Missionary Society is founded in Kettering, England. Tipu Sultan invades Kerala, India, but is repulsed. Hungarian astronomer Franz Xaver von Zach publishes The Tables of the Sun, an essential early work for navigation. Scottish engineer William Murdoch begins experimenting with gas lighting. George Anschutz constructs the first blast furnace, in Pittsburgh, Pennsylvania. Barthélemy Catherine Joubert, future French general, becomes sub-lieutenant. Johann Georg Albrechtsberger becomes Kapellmeister in Vienna. The State Street Corporation is founded, in Boston, Massachusetts. The Insurance Company of North America (later Chubb) is founded in Philadelphia, Pennsylvania. The first written examinations in Europe are held at Cambridge University, England. Denmark-Norway is the first country in the world to outlaw slavery. ^ "Historical Events for Year 1792 | OnThisDay.com". Historyorb.com. Retrieved July 14, 2016. ^ Palmer, Alan; Veronica (1992). The Chronology of British History. London: Century Ltd. pp. 232–233. ISBN 978-0-7126-5616-0.